Watching Kenny Dalglish face the media ahead of Liverpool's derby with Everton, I wondered how closely he's really watched football since he last managed in the nineties?﻿﻿ Has he just been a casual observer? Here, didn't you used to be Kenny Dalglish? His instincts honed by playing and managing great players seem blunted after years of swannying through boardrooms and sponsor meetings. Liverpool are languishing below midtable: send for the Messiah! Apart from the obvious platitudes on the urgency of winning matches, the Reds legend/caretaker boss declared that getting sent off these days was easier than it used to be. "Nowadays if you say 'Good morning' to someone you've got a chance of getting a red card. It's a wee bit different to a few years ago. You can't blame players for being passionate and committed. They've been highly criticised for not being passionate and committed. If there is a bit of understanding from the officials I'm sure it would ease things along a wee bit." That's almost an accidental "back in my day" reference - and the game's moved on in light years since he was in the box seat. It was after a classic four-all draw with Everton one month off twenty years ago that Dalglish sensationally quit Anfield. Dalglish just couldn't take the strain of Heysel and Hillsborough anymore, but kept his feelings private until two days after that unforgettable game. But twenty years on, amid fan cries for him to step into the breach to replace Roy Hodgson, he faces upto the same club who prompted his resignation. The Kop urged his return to the manager's office as Hodgson foundered through defeat after defeat. But at what cost to his status as Liverpool's number one legend? The late Malcolm McLaren was invited to be part of "I'm a Celebrity, Get Me Out of Here" only last year. Agent and old friend, Mark Borkowski successfully persuaded the punk impresario not to do it. McLaren pulled out just a day before filming was to start. Borkowski told McLaren that all he had was his credibility and it would be shot if he took part in the reality TV show. Dalglish has no hope of galvanising the team into any decent shape as caretaker boss, let alone as manager in his second spell. Clearly a diminished figure in his Liverpool tracksuit to the one who so gracefully donned the colours and patrolled the line decades ago, even the most ardent Kopite must wonder what statement the club is really putting out by bringing him back - even in the interim. Yesterday's man for yesterday's club? "Be careful what you wish for, it might just come true" is the old saying most befitting of the Kop's wishes to see Dalglish back. Where next for this famous club? Fabulous article well written and with objectivity. As an Everton fan I remember when Howard Kendall came back not once but twice and did not deliver especially the second time. The call of home is loud but sometimes rules the heart. 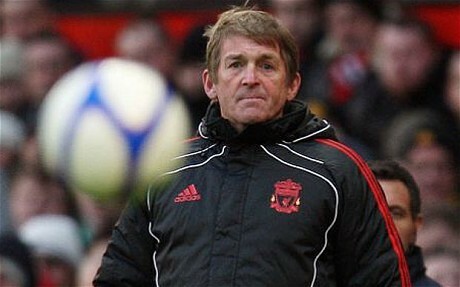 Dalglish looks like this is the same where his heart is ruling his head. After so long out can he have the passion that the fans think he has and that they have for Dalglish. The main point is that Roy Hodgson was left with a very poor squad by Rafa and it is the same squad now under Dalglish. Overall how many returning heroes succeed a second time? As a Liverpool fan I can tell you regardless of the results on the pitch, having Kenny back at the club managing the team was just the tonic, the fans needed. Is it the tonic the team needed ? who knows but us fans have been through the mill somewhat over the past couple of seasons and having this little piece of magic has been a great pick me up. The majority of fans are not expecting much of this season and if indeed he goes in the summer then so be it he will still be a living legend and tell me how can you not like Kenny Dalglish. One major improvement and perhaps thee best single reason for appointed Kenny in the caretaker role, the players who have had it really easy will have nowhere to hide. "The late Malcolm McLaren was invited to be part of "I'm a Celebrity, Get Me Out of Here" only last year." McLaren died in April 2010, while 'I'm a Celebrity....' aired in November. Believe it or not, McLaren's invite came in 2007! I agree with everything else you say, though. I lived in Liverpool for three years and got a real sense through talking to local people of what a great human being Kenny Dalglish is. The way he conducted himself in the aftermath of Hillsborough was remarkable and he deserves a lot of credit for that. A few years ago I worked with one of his daughters for a time- she was a delightful lady and if the rest of his family are like her, they're a credit to him. I gather he's also a far more humorous and jovial character in real life than he comes across as being in front of the cameras. 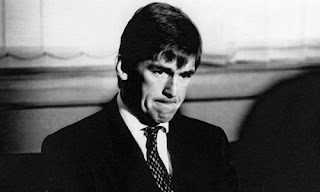 I have nothing against Dalglish as a person, but this appointment is essentially nostalgic. He has been out of football management for nearly 11 years and his previous two jobs at Celtic and Newcastle were hardly roaring successes. Like you, I have serious doubts about how in-touch he really is with today's game. He's hasn't had a 'hands on' football job for a very long time, and, to me, he cut a sad and lonely figure sat in the dugout the other day. Nostalgia has prevailed over logic and common sense.